Whether you're taking a day trip to the hip town of Burlington, cruising down the slopes of Stowe, or enjoying a treat with real maple syrup, you'll be so happy you purchased a Vermont timeshare. Find Vermont timeshare resale and rental properties here for up to 70% off the retail price! What’s My Vermont Timeshare Worth? Vermont timeshares are a wonderful choice for your annual home away from home, as there are a wide variety of things to do in VT. The state offers plenty to lovers of the great outdoors with its four distinct seasons. In the winter, enjoy skiing, snowmobiling, ice climbing, skating, and more. In the spring and summer, great hiking and mountain biking is right at your fingertips. The fall brings stunning foliage of orange, yellow, and red. Vermont, where environmentalism is popular and nature is embraced, is a true outdoorsman or woman's treasure. Vermont is wonderful even if you're not the epitome of a nature lover. You can find quaint shops selling unique art and handmade items, as well as other nationally known stores. If you're a foodie, Vermont is a can't-miss, as the state offers a multitude of fantastic restaurants and cafes. You'll find everything from fresh, locally grown farm-to-table fare—ever popular in Vermont—to international tea houses. If you're looking for the perfect place to stay, top Vermont resorts include Smuggler's Notch Resort, Trapp Family Lodge & Guest Houses, Killington Grand Hotel & Crown Club, and more. We offer excellent deals on timeshare rentals and resales at these locations and many more Vermont resorts. With us, you can even save up to 70%! That's possible because, unlike many developers, we give our customers all the information they need online. This means we're transparent and it also means promotional events are unnecessary. Thus, you won't have to leave your home to purchase with us and you won't need to worry about the costs of promotional events being factored into your timeshare. To learn more about Vermont timeshares, fill out the form on this page, or give us a call at 1-877-815-4227. Vermont is a great destination for solo travelers, groups of friends, couples, and families alike. Many Vermont resorts are affiliated with RCI, the largest exchange company in the world. Floating week Vermont timeshares allow you to visit the state during a different season each year. There are so many things to do in VT, especially if you stay at an ideally located resort. Many are on or near the mountains, making skiing and hiking a no brainer. You're also likely to find many Vermont timeshare resorts offering outdoor excursions like whitewater rafting and backpacking, just to name a few. Plus, these resorts are close to an exquisite selection of shopping, dining, and entertainment opportunities. There are an endless array of outdoor activities in Vermont, and you can enjoy them with a Vermont timeshare. 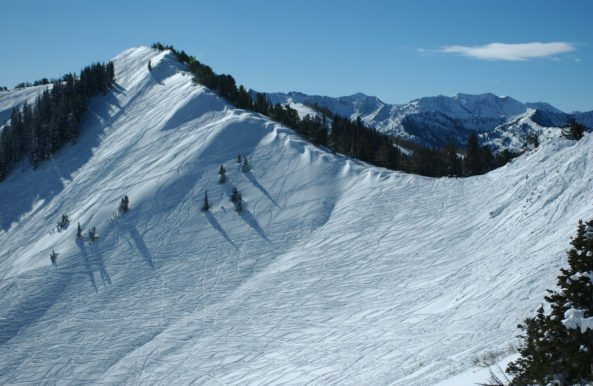 Killington and Smuggler's Notch are both highly rated destinations for skiers. Stowe's Mt.Mansfield is Vermont's tallest mountain, which offers a challenge and incredible views to hikers. Stowe is also home to ArborTrek Canopy Adventures, where you can zipline to your heart's content. Leaf peeping is to die for throughout the state in the fall, and Vermont's many water bodies—both fresh and saltwater—provide ample opportunities for kayaking, whitewater rafting, boating, and more! Vermont offers something for every palate, from burgers to sushi. Burlington, especially, features an incredible assortment of restaurants—many of which include offerings you won't find anywhere else. Sweetwaters takes classic American fare to the next level, and The Skinny Pancake puts a whole new spin on crepes. The state is also one of the most aware and accommodating when it comes to ethics-based dietary preferences. Vermont has a diverse array of shops to offer, whether you're looking for clothing, home decor, books, or something else entirely. You can purchase cozy, traditional flannels at Vermont Flannel Company. Tygart Mountain Sports will keep you well equipped for outdoor adventures, and Rockledge Farm Woodworks will give your home the rustic touch you've been searching for. The Vermont Teddy Bear Factory is a charming stop for heartwarming gifts, and Urban Outfitters is always a perfect destination for of-the-moment, unapologetic style. Whether you want to see ancient artistic sculptures, modern paintings, or even puppets, you'll be impressed with Vermont's art scene. Conveniently located on UVM's campus, you'll find the Fleming Museum of Art, which displays artwork from all ages and cultures. At the Bread and Puppet Museum, find yourself surrounded by puppets—an experience you'd be hard-pressed to find anywhere else! There are many more museums to explore on your annual getaway, as well as an eclectic collection of art galleries. Did you know that the Von Trapps in The Sound of Music were based on a family that lived in Vermont? Vermont is also the location of important Revolutionary War battles. It has even been a vacation destination and home for different US presidents and senators. Whether you're interested in political, maritime, colonial, or any other history, you'll discover the past in all its intriguing glory in this New England state. Use a Vermont timeshare as your base as you scout the state's many colleges. Plus, whether you or a loved one are interested in furthering your studies or not, colleges are a hub for events and entertainment. If you're looking for inexpensive, and possibly even free, plays, concerts, comedy performances, cultural expos, and more, you're bound to find some at a nearby college, such as the University of Vermont, Champlain College, and Castleton University. Already Own a Vermont Timeshare?